You know what is totally cute that your kids will never wear? A scarf that you slaved over! Ok, maybe more like mindlessly passed the time during a Scandal marathon (my new favorite show). But seriously, how completely adorable are these two? Getting the scarves on them took major bribery but I think I’m willing to let them have a treat now and again if they will wear their handmade fleece scarves. I don’t have any how-to shots because I wasn’t sure the project would turn out. But I love how simple, cozy – and, dare I say, homemade? – they look. I kind of love that they aren’t perfect (my Scotty dog is just a wee bit crooked :). 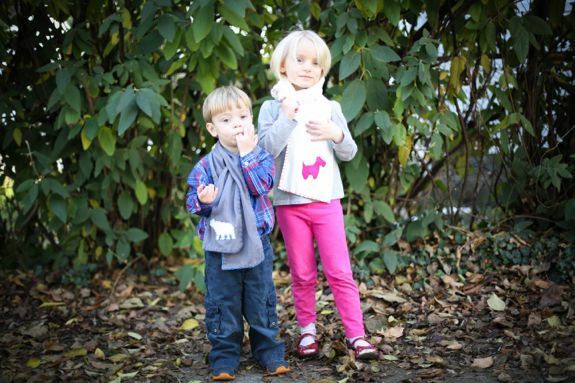 If you have slightly more cooperative children, here’s the rough how-to. I cut a long piece of fleece and blanket stitched the edges with embroidery floss. Put an old scarf on your child to figure out the right length to cut. Then I cut the animals shapes out of felt and stitched them on with the same color embroidery floss. Henry’s scarf is a single piece of fleece with a little slit so that it can pull through. Since he is littler I thought that would make it easier for him to wear. Caroline’s is a longer, wider piece of felt that I folded in half and stitched so that it can wrap around. Totally unrelated but Sam is 6 months old now. How amazing are those blue eyes? P.S. Today’s merry giveaway is over at Oh The Lovely Things – check it out! No doubt you’ve got cute kids! I love how the scarves turned out. With our cold weather we are really in need of warm scarves! I think these are so cute, Steph! Well done! 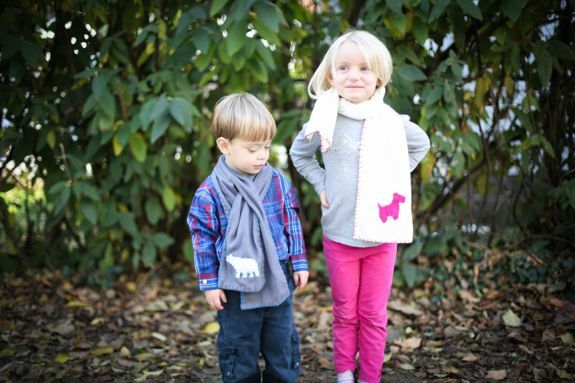 Cute kiddos and adorable scarfs! Such beautiful kiddos! If you hadn’t said anything I would have thought that they were more than willing to be your models. So cute! they are as cute as their mom! nice job on the scarves! Aww. Very cute. Great little models. There’s nothing wrong with bribing – as a teacher I do it a hundred times a day! Such cuties and awesome DIY idea. Love the polar bear. 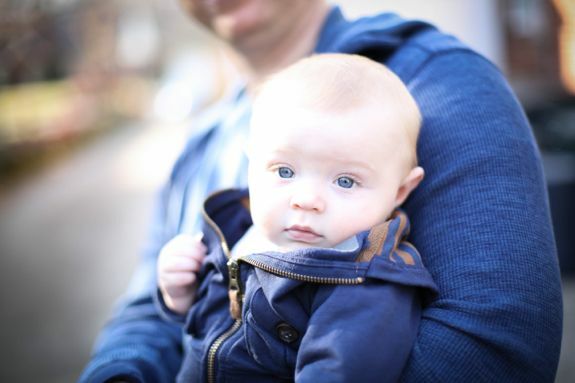 You’ve got the cutest kids–and I totally can’t believe Sam is already 6 months old! Where does time go?! 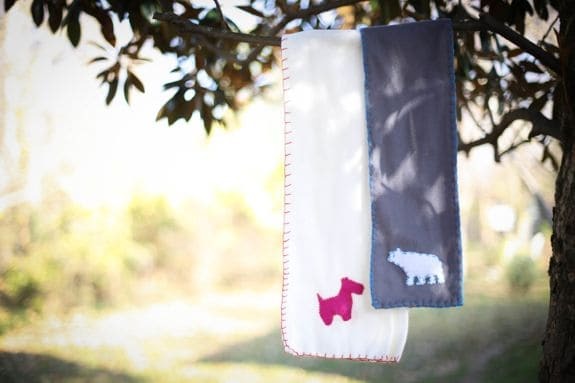 These scarves are so adorable–they’d make a great gift too! 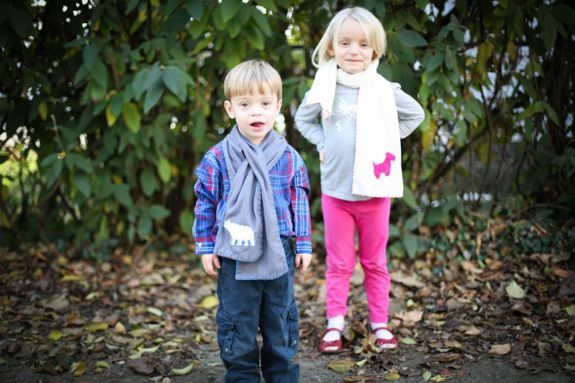 You have such adorable, beautiful kids…its wonderful to see them modelling those scarves. I’m sure they’ll wear them more often after seeing their pictures. 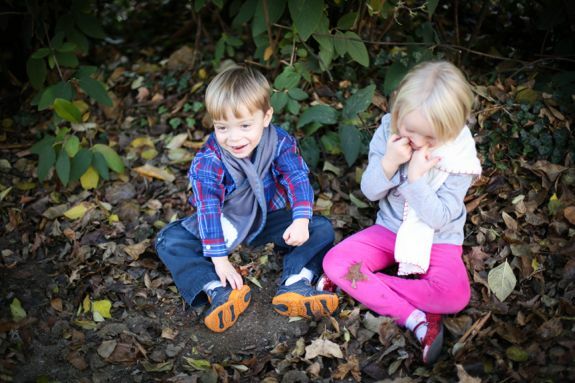 Holy Moly your kids are adorable. I love the scarves. So. Stinking. Cute. The kids and the scarves! Love this idea!! !